Although Honduras banned shark fishing in 2011, this decision was repealed in 2016 for the Moskitia region. 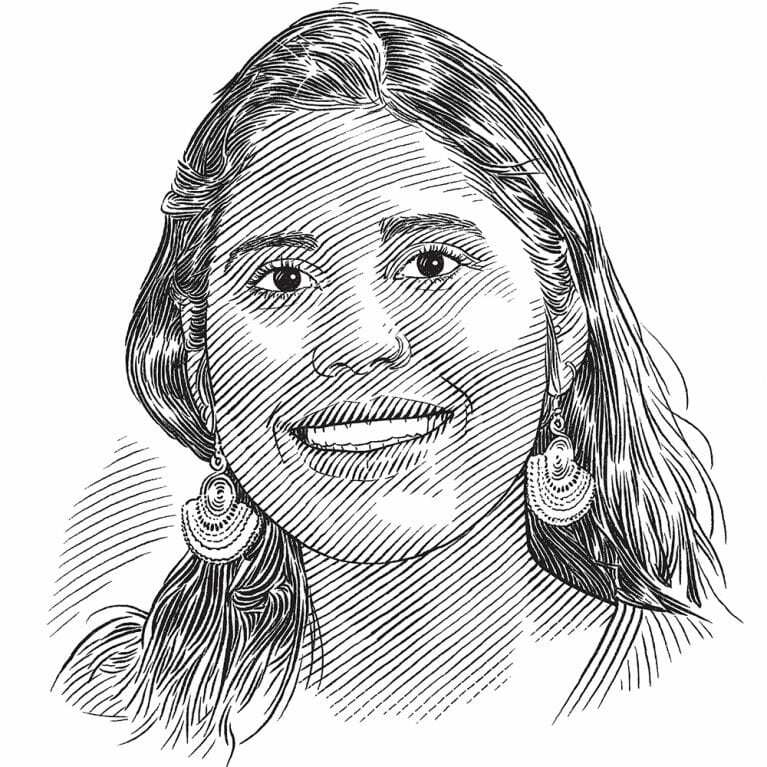 Gabriela is working with Miskito fishers to get a handle on the scale of shark fishing and manage the effort in this area. Establish a shark baseline by which to measure future changes in shark abundance, diversity, and distribution at key remote shark fishing sites in the Moskitia Region. characterize shark fishery to assess the breadth, scope, and value of the fishery, and assess means to reduce shark fishing effort. In 2011 Honduras declared its EEZ a Shark Sanctuary and prohibited shark fishing and the commercialization of any derivatives. In 2016, this was partially repealed to allow captures and commercialization of sharks specifically in the Moskitia Region. As a result, an artisanal fishery has emerged in the Miskito Cays, the country’s most unexplored marine site, and coastal areas of the Moskitia. A pilot study using surveys and BRUVs conducted by MarAlliance revealed a longline and gillnet fisheries where gillnets are baited with Atlantic guitarfish to catch endangered hammerheads and other large bodied sharks to satisfy the demand for dry fish during Lent. This is an unregulated and unreported fishery, with no available information on species captured. It is necessary to establish a fishery baseline that will enable decision makers to regulate or restrict the fishery in order to mitigate the declines of these species. The status of sharks in Central America and Caribbean is poorly known, information on captures remains sparse, and although some regulations exist, a lack of enforcement persists (Kyne 2012). In 2011, Honduras opted to enact a country wide ban on shark fishing, declaring its EEZ a Shark Sanctuary. In 2016, the legislation was amended to allow incidental captures of sharks to be commercialized only within the Moskitia Region. Unfortunately, gaps remain within the legislation, incidental captures are not legally well defined nor are sanctions for infractions. Due to limited enforcement capacity, incidental captures remain unreported and illegal fishing continues. Anecdotal information and preliminary work from MarAlliance using rapid surveys have demonstrated that there is a directed shark fishery both in the Miskito Cays (MC) and the coastal mainland areas of the Moskitia. This fishery targets endangered species such as large bodied hammerheads (Sphyrna mokarran and S. lewini, CITES II) and other large carcharhinids. Moreover, the bait most frequently used to catch sharks is the Atlantic guitarfish (Pseudobatus lentiginosus) which is assessed by the IUCN as NT to extinction and for which little life history, geographic and fisheries data exists globally. Wedgefish were recently elevated by the IUCN Shark Specialist Group as species of particular importance for urgent study to reduce data gaps and catalyze management measures. Currently, Honduras does not have a finalized National Plan of Action for Sharks and has not completed Non Detriment Findings (NDF) analyses for their CITES listed species to determine if capture and trade are sustainable. There is critical need for information on these elasmobranch fisheries that can be used to support national agreements and management decisions that will regulate their unrestricted catches. It is also important to work with fishers to build their capacities and raise awareness on the ecological importance of elasmobranch species. A fisheries independent shark baseline by which to measure changes in shark abundance, diversity, and distribution at the remote shark fishing sites in the Miskito Cays and mainland coastal areas in the Moskitia Region has been established by the end of 2019. Characterization of the shark fishery fisheries to assess the breadth, scope, and value of the fishery, and assess means to reduce shark fishing effort. Strengthen and build capacities among the artisanal fishers and communities in the Moskitia region to improve conservation ethos and create greater stewardship towards elasmobranchs. With more than 200 species of sharks and rays around the Philippines and little known about the conservation status of most of them, it’s no wonder that some species have been ignored. AA is trying to close the information gaps for bottlenose wedgefish and other rhinid species to help inform better management for these species. Mediterranean diet: are rays on the menu? Protecting rays and skates (batoids) is challenging, especially where there are inadequate fisheries regulations. Chrysoula is identifying which batoids are caught in the Mediterranean to understand the effects of fishing practices and what illegal, unreported and unregulated fishing means for vulnerable species. In spite of 30 years of eye-witness reports of sharks being landed commercially in the Andaman and Nicobar islands, next to nothing is known about the status of sharks and their fisheries. Ravi is scouring fish markets and landing sites to provide accurate species identifications and gather information about shark trade, and thus inform management plans.